Manny Pacquiao is back under the bright lights of the Entertainment Capital of the World, aiming for a convincing victory that apparently would pave the way for one more big-money fight. In Las Vegas, the world welterweight champion hopes his gamble will pay off. Pacquiao takes on Adrien Broner at MGM Grand on Sunday, January 20, (Saturday, January 19, US time) with the World Boxing Association belt — and probably more — on the line. 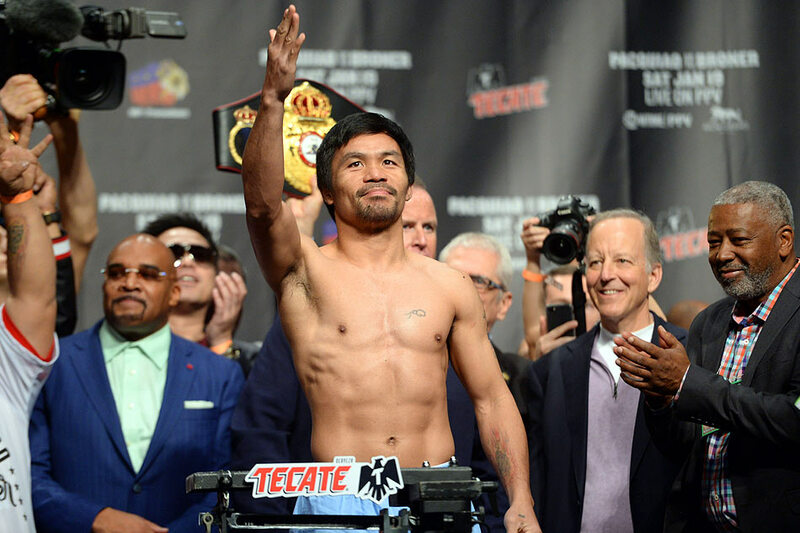 Dissecting Data: Is the Pacman's punching power back? The buzz around boxing circles is that this fight is just a jump-off point targeting a Pacquiao-Floyd Mayweather Jr. sequel. In order for that plan to stick, Pacquiao (60 wins, 7 losses, 2 draws), when he battles Broner (33 wins, 3 losses, 1 draw), needs to at least approximate his electrifying performance the last time he was inside the ring. “If the Manny Pacquiao that beat Matthysse shows up against Broner, I won’t be surpised na matapos ulit ito ng knockout,” analyst Dennis Principe said. At 40 years old, Pacquiao’s explosiveness has long left him, but there could be some power left in his battle-scarred punches that could shut down the American challenger, whose last two fights ended in a draw and a loss. 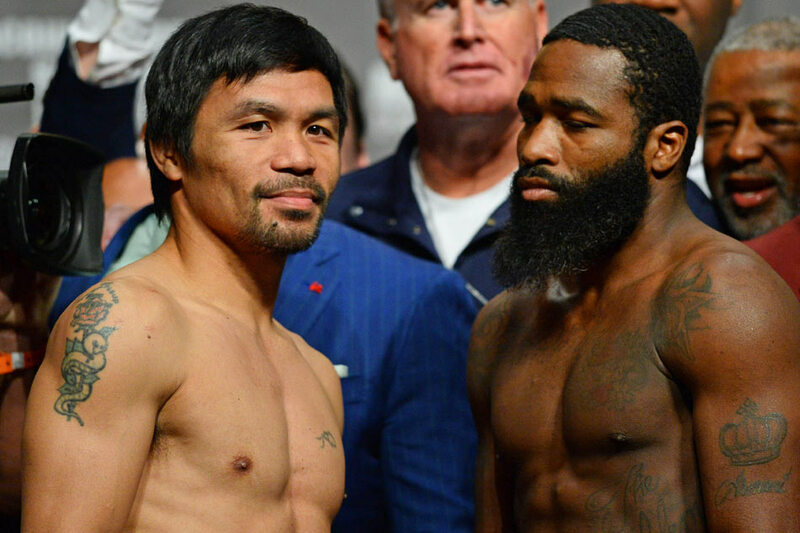 Fight TV commentator Ed Tolentino said Broner, despite being 11 years Pacquiao’s junior, may be susceptible to a quick ending, given the Pacman’s deep arsenal of weapons. “This is Pacquiao’s first fight at age 40 and, now more than ever, he wants to prove that he still has knockout power. He showed that against Matthysse,” Tolentino said. Principe said Broner could be out of his league, not only when it comes to skills, but in weight. “Broner is not a regular welterweight, he’s more of a super lightweight, even a lightweight fighter. Umakyat lang siya because of the premyong involved,” Principe said. 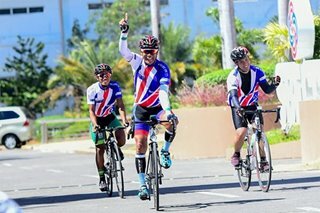 A measure of pride is also a prime motivator for Pacquiao, who has entered that age where it looks as if a fighter should just be hanging up his gloves. Pacquiao said he wants to prove that he still has the ability to be a force in the welterweight division despite turning 40 last month. Tolentino said it would be foolish to look past a “dangerous” Broner, who is equally determined to hit pay dirt with a victory over Pacquiao. “Everybody thinks of Broner as a tune-up, but only because people are looking beyond this fight and straight into the Pacquiao-Mayweather rematch,” Tolentino said. “Note that he was a former 4-division champ, the second youngest to pull off the beat. He is a counterpuncher, which is the antidote to Pacquiao’s aggressive style. The last time Pacquiao fought in Las Vegas was in November 2016 when he beat Jessie Vargas at Thomas & Mack Center for the World Boxing Organization welterweight title, which he lost to Jeff Horn in Brisbane 8 months later. Pacquiao became world champion again in July when he knocked out Matthysse of Argentina.